There-to-Repair engages in a wide variety services for those in the Yuba City area who require water damage assessment and leak detection, water damage restoration, professional mold removal and mold remediation, roof and plumbing leak repairs, fire damage restoration and related damage repair situations where a professional is required for property completion. We also provide additional services to solve these and related property situations. Specially trained and certified professionals are here to assist you with your situation. In addition to the City of Yuba City, CA, There-to-Repair also provides its professional services to the surrounding cities of Sacramento, West Sacramento, Carmichael, Citrus Heights, Antelope, Arden/Arcade, Natomas, Elverta, Elk Grove, Fair Oaks, Folsom, El Dorado Hills, Granite Bay, Lincoln, Loomis, Marysville, Newcastle, Auburn, Cool, Dixon, Davis, North Highlands, Orangevale, Rancho Cordova, Rio Linda, Rocklin, Roseville, Woodland and upwards towards Chico to encompass much of Northern California. Coverage spans across the counties of Sacramento County, Sutter County, Placer County, Butte County, Calaveras County, Yuba County, Yolo County, San Joaquin County, El Dorado County, Colusa County, Nevada County, Amador County, Contra Costa County and Solano County. Our local locations allow services to be rendered to the residents and businesses in these areas. There-to-Repair has been offering its superior services to the Yuba City California area for over 15 years now. We are proud to continue our role as one of the most highly regarded recovery and restoration companies. This has been possible through our dedication to customer satisfaction and quality workmanship we have stood above our competitors in this ever-developing industry. To reach us by telephone, call toll-free 1-877-886-6259. 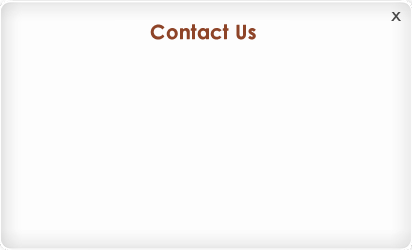 For information about our services in Yuba City or for a free estimate, please call us at 1-877-886-6259.